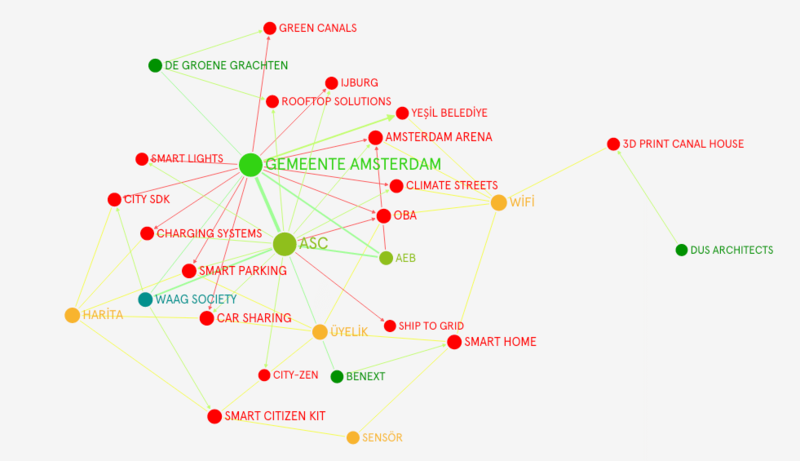 “Smart city graph: projects and organizations in Amsterdam” is a prototype graph for exploring the smart city companies and their interrelations through joint projects and similar concepts. Adding other cities and their local initiatives is the logical next step for this graph, which would allow us to discover central architectural concepts and product clusters in smart city development worldwide. 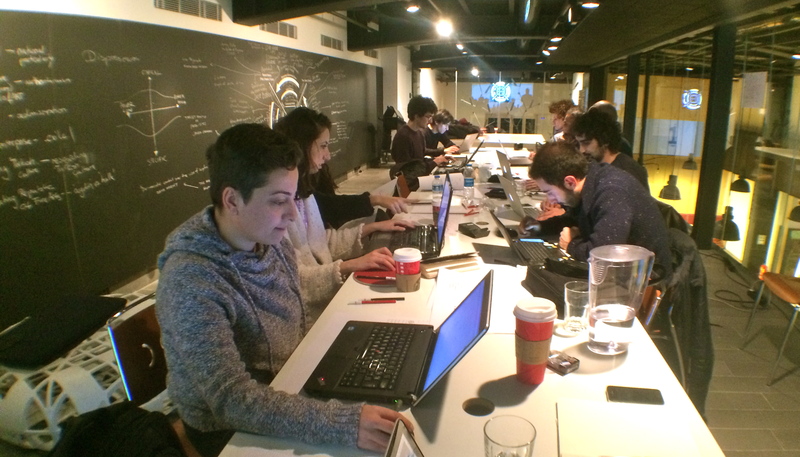 “Mapping the Middle East art ecosystem after 9/11” is a master’s thesis project focusing on the development of relationships between artists and art institutions in the Middle East region for the last 14 years. 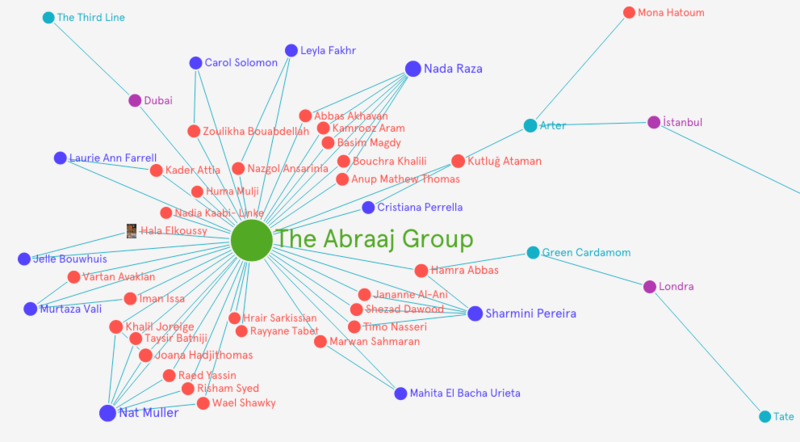 The graph starts from the Abraaj Group’s $1M art award recipients and their institutional relations, and expands to new art epicenters from Istanbul to Dubai to Beirut. 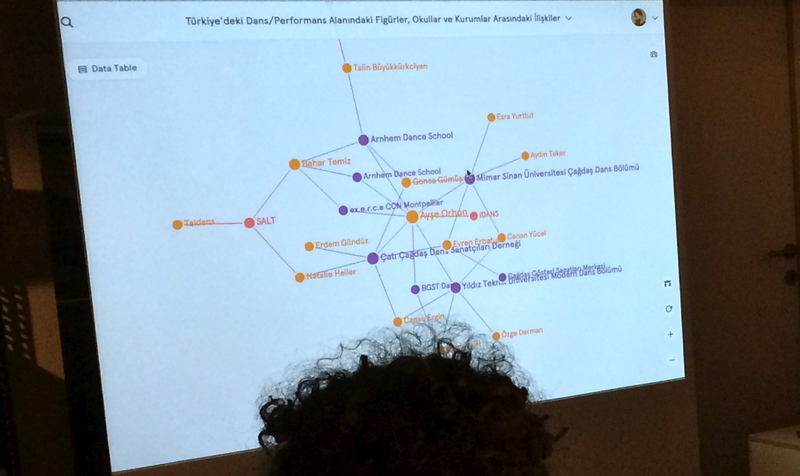 “Mapping the ecosystem of performance art in Turkey” is a graph covering the dance/performance artists, their schools, and relations to art institutions. 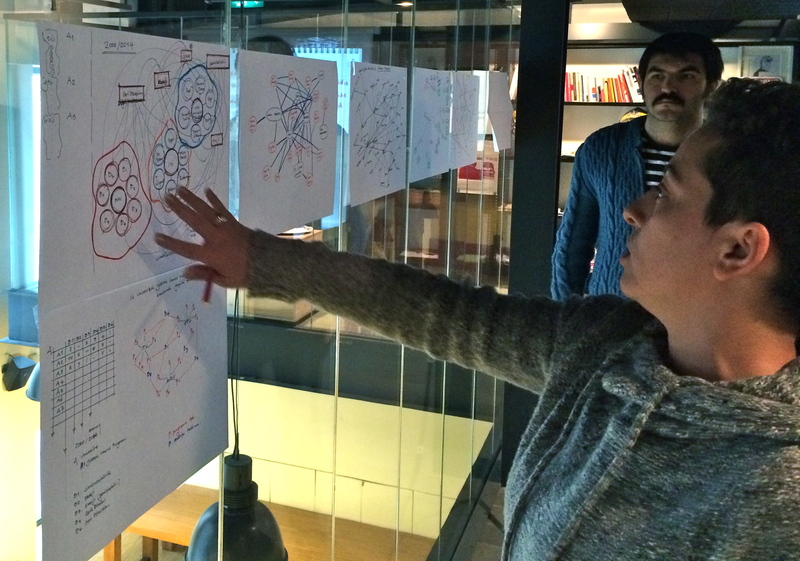 From what we see from the graph at a glance, Ayşe Orhon is currently the most central figure in performance art in Turkey. 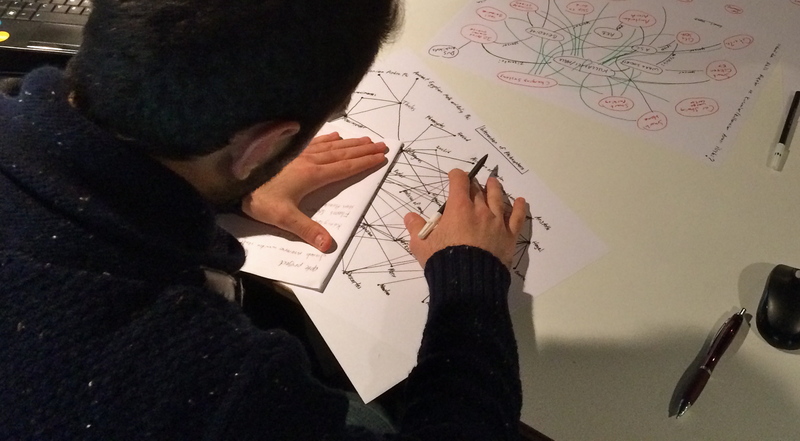 “Sustainability in the architecture schools” is a graph connecting the issues of sustainability with respective architectural departments studying or researching such issues. 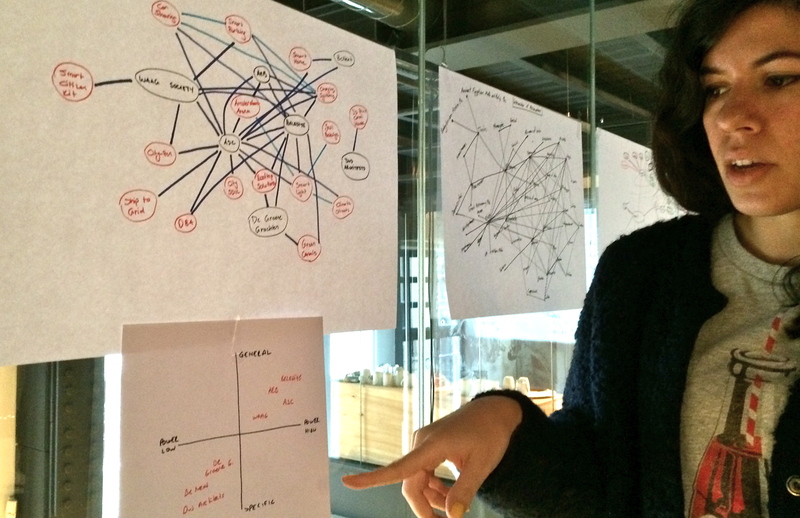 Logical next step would be to expand the graph into other architecture school focusing on sustainability around the world, so that we can discover potential areas to bridge the academic research. 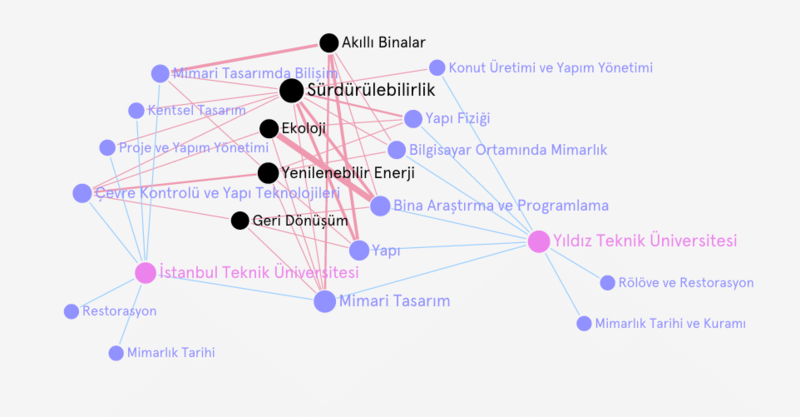 “Alumni Graph: Network of initiatives created by the graduates of certain university departments” starts from Bogazici University with the prominent alumni and their initiatives from tech startup businesses to music bands. 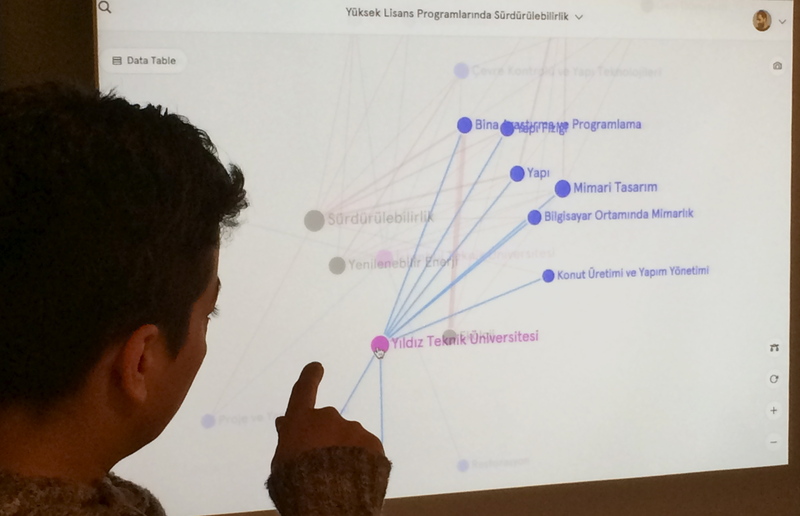 When it expands to other universities and enriched with keywords for the initiatives, the graph could be a great reference for any university applicant, as well as a solid networking tool for the alumni. 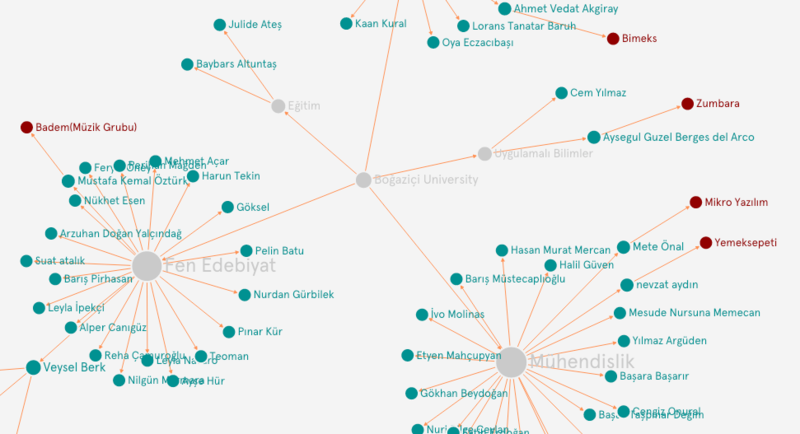 “Invitation network of Aciliyet Mektebi” is a relationship map of people who invite each other to the Aciliyet Mektebi, an autonomous lab for rethinking alternative models for the current education system, initiated by artist Ahmet Öğüt, so a central actor in the invitation map. 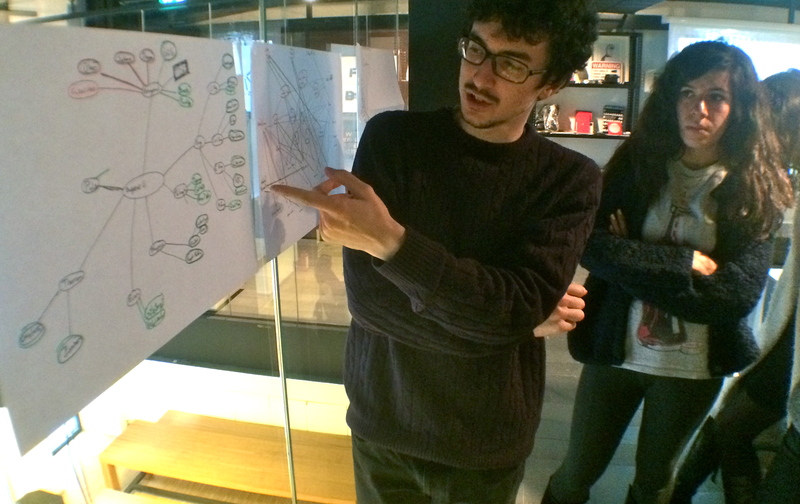 When the graph includes other institutions and initiatives of the Aciliyet Mektebi participants, it could reveal the decentralized topology of autonomous spaces. 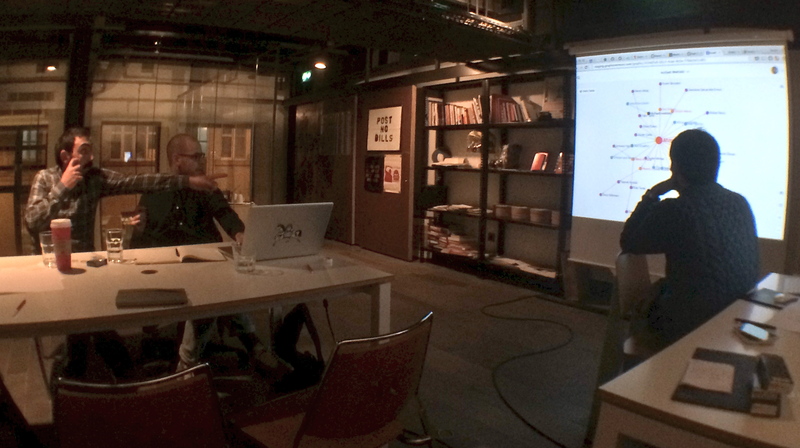 “Interaction of philosophers” is an exercise based on Wikipedia “related” section of each philosopher’s page. 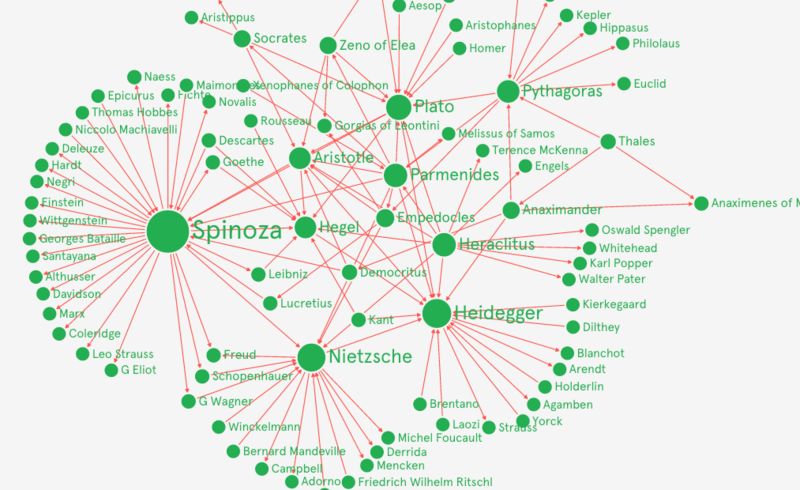 The layout clearly positions the well known Greek philosophers in the center based on their influence in the western philosophy. 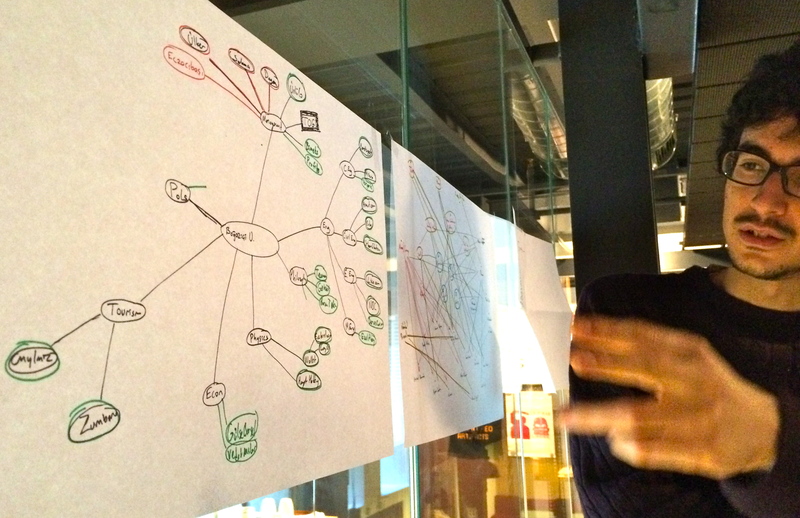 Apparently, it could be nice to see the conceptual relations between the philosophers.